Children are more prone to disease, because initially their immune system is not well developed. It is natural to worry when your kid gets fever repeatedly. You may try to keep them bundled up with seasonal cloths for keeping illness at bay. But the truth is that children start getting diseases once the immunity they got from their mother’s milk ends and they need to build their own immune system. Babies or preschools kids usually get 7-8 colds in a year. And this procedure continues until they become teenagers. Apart from cold, your baby may get diarrhea, stomach ache or fever. Viral infections are present everywhere and possibility of getting effected from them is more in kids. Dehydration: If you found your child very exhausted or if his mouth is very sticky. Consult your doctor. 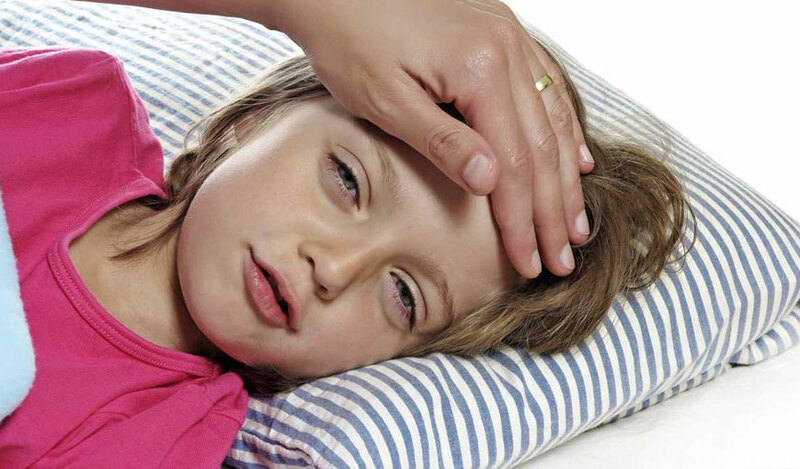 High fever: In new born babies (3-6 months old) doctor’s call is needed if the temperature is more than 101°F for older kids threshold temperature is 103°F. Difficulty in Breathing: Rush to doctor if you found your baby wheezing, or making hard efforts to breathe or taking pauses while breathing. Not eating: It is natural if your baby is not taking too much interest in eating if he is sick. But he is eating less than half of his normal eating capacity, you should consult doctor. Preexisting diseases: If your child has asthma, diabetes or other chronic disease, consults doctor every time when he is not feeling well. As discussed earlier the main cause for children sickness is less immunity. There are hundreds of viruses present in atmosphere. Your child is never exposed to such germs, hence his possibility to catch those virus increases. Usually germs spread from hand to mouth. Kids often take their hands and toys in mouth and thus chances of infection increases. Children are the precious gift which parents have. But taking good care of children is the most challenging task. Parents always want their kids to be healthy. And that’s the reason why most of the couples are choosing homeopathy for the treatment of their kids. It is a harmless treatment which is most suitable for toddlers. Nearly 300 million parents of 80 nations believe in homeopathy. If you are one of them then choose Dr. Anubha’s homeopathy children diseases treatment in Hyderabad for better treatment of your kids. Her homeopathy children diseases treatment in Hyderabad helps in development of children immune system, thus improving their defense power.